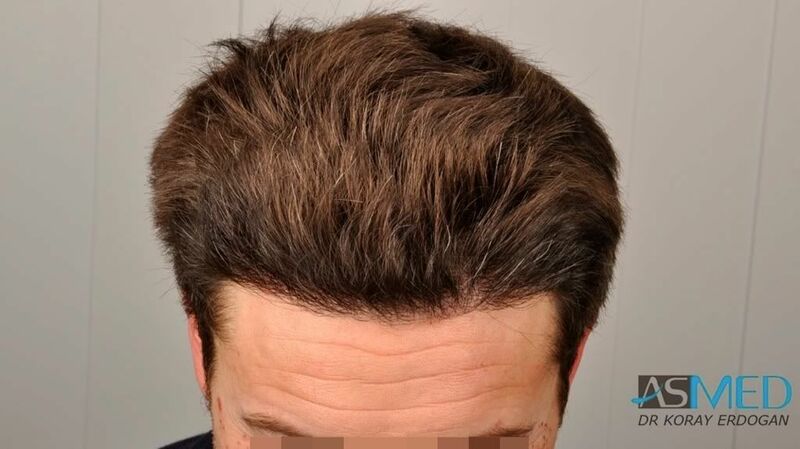 2200 grafts FUE Repair, extracted by titanium manual punch diameter 0.7 - 0.9 mm. 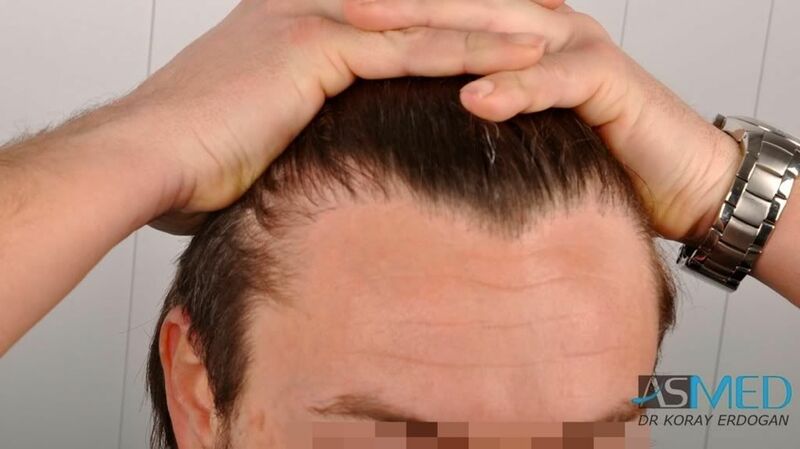 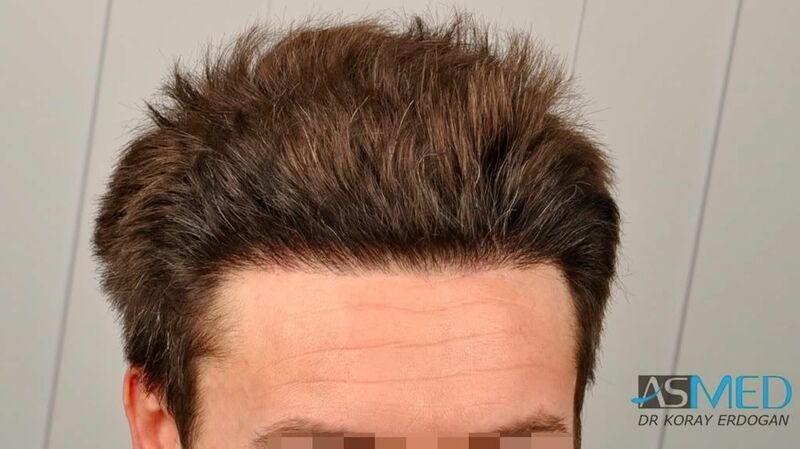 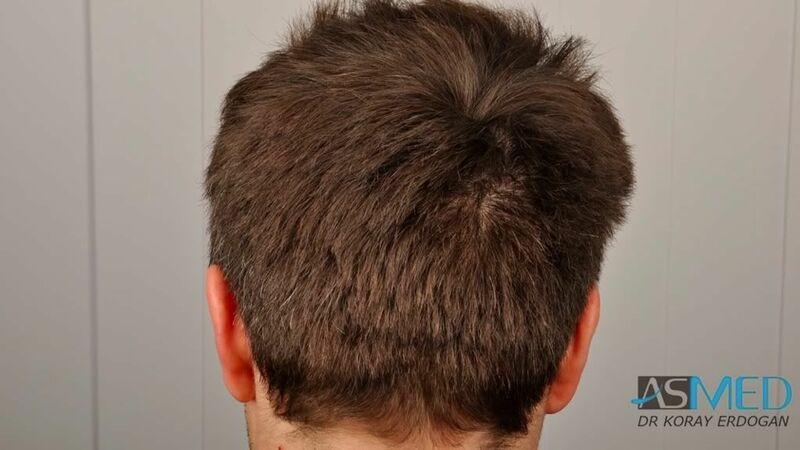 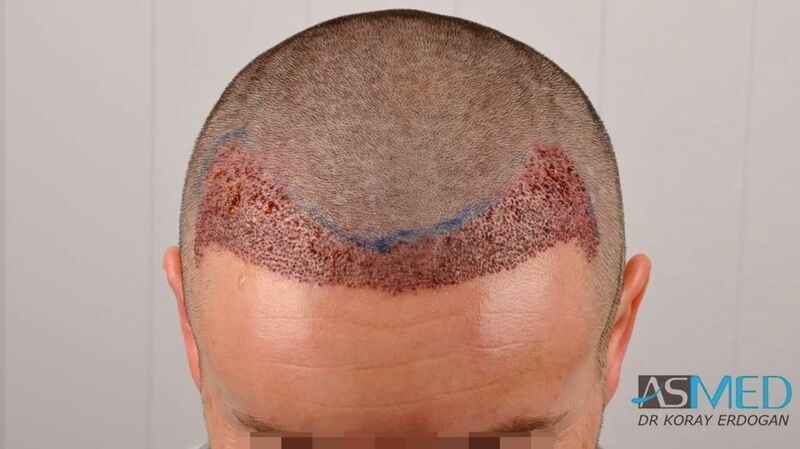 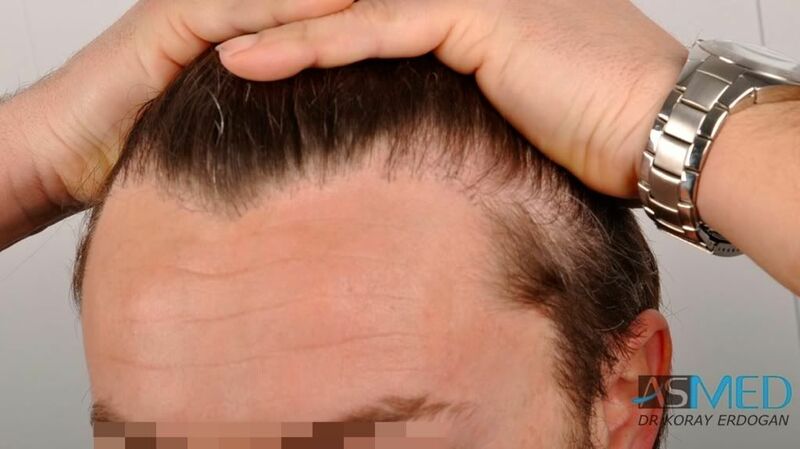 The patient previously had a bad FUT/FUE operation with another clinic, leaving him with an unnatural looking result and visible damage. 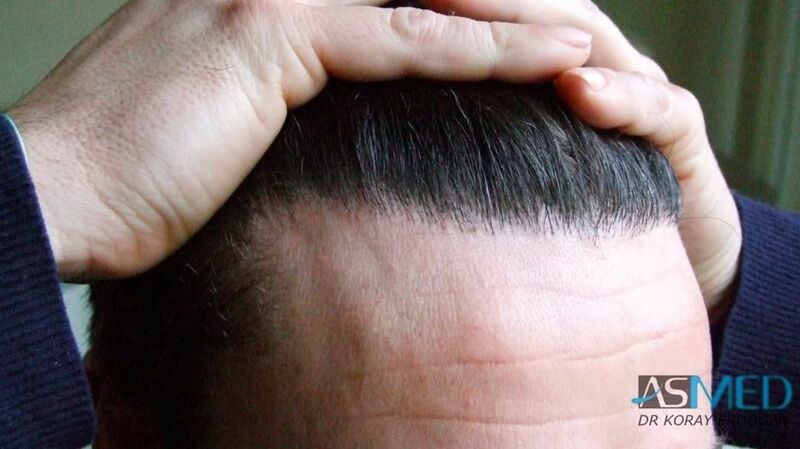 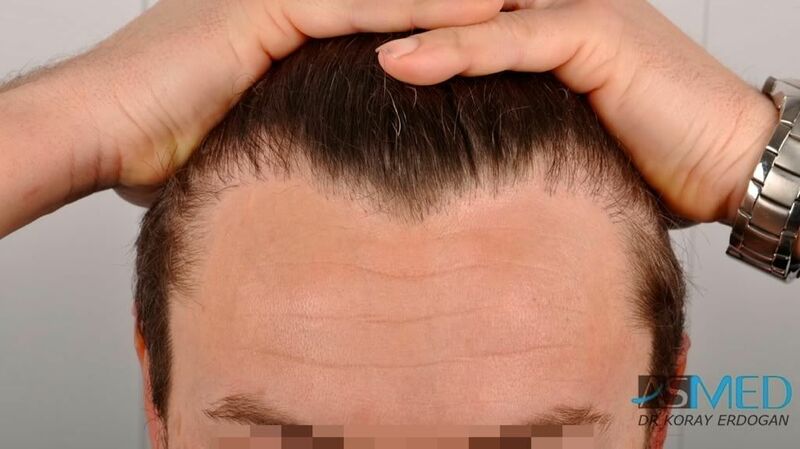 1900 grafts have been used to create a new frontline with high density. 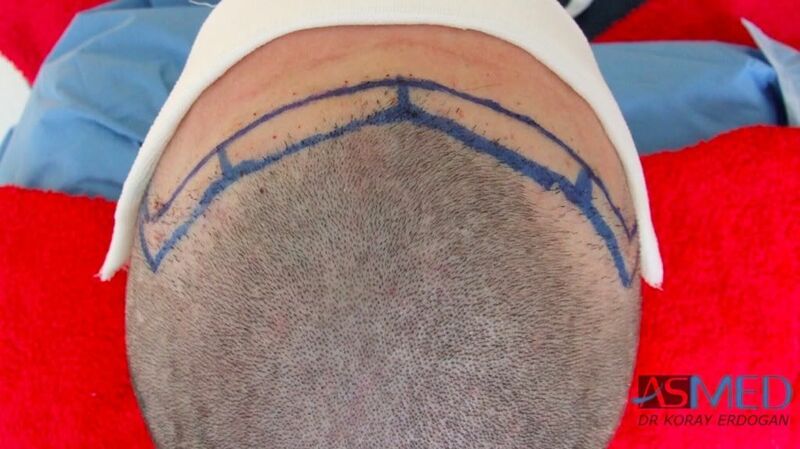 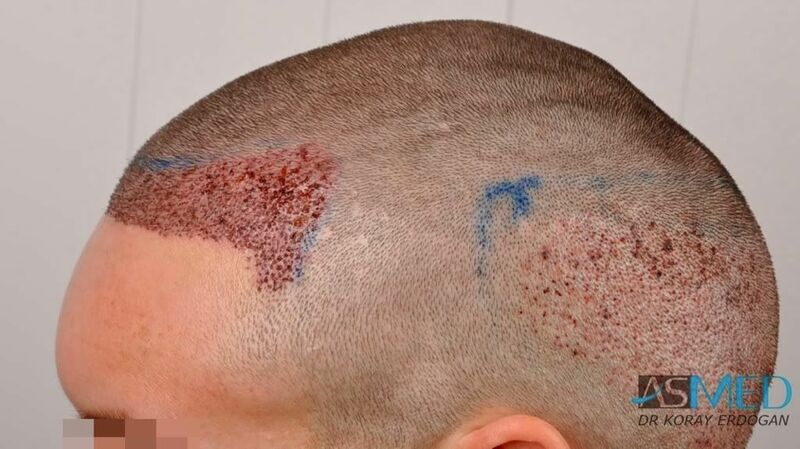 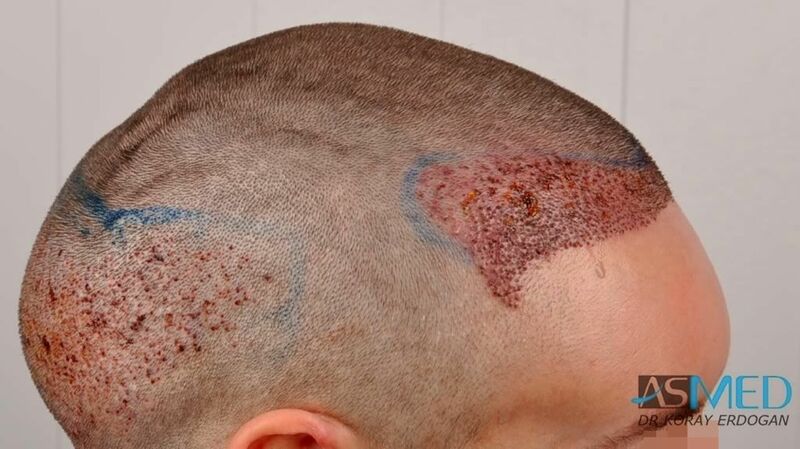 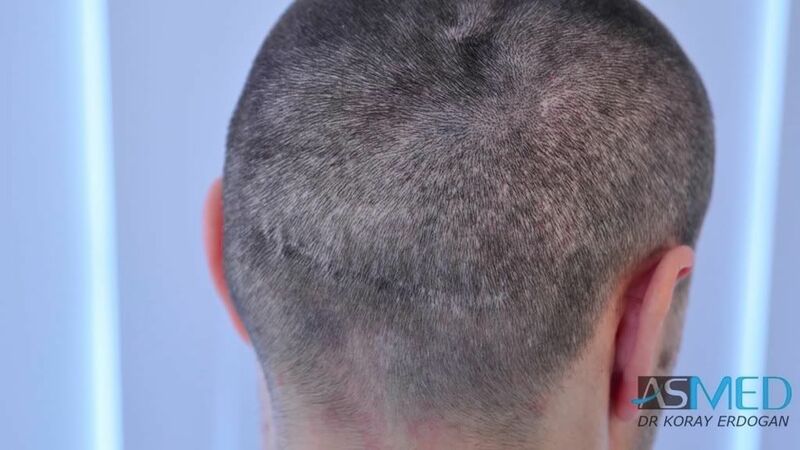 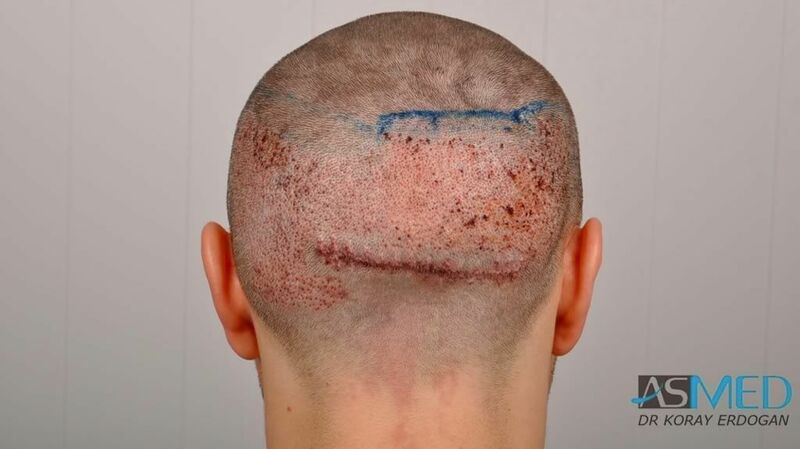 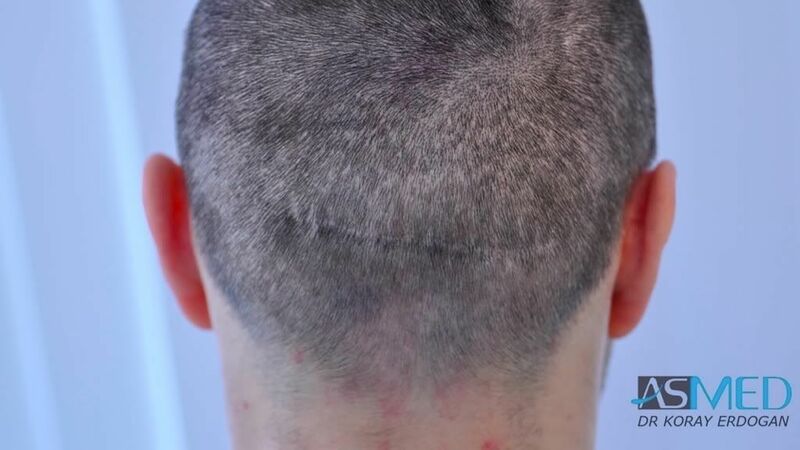 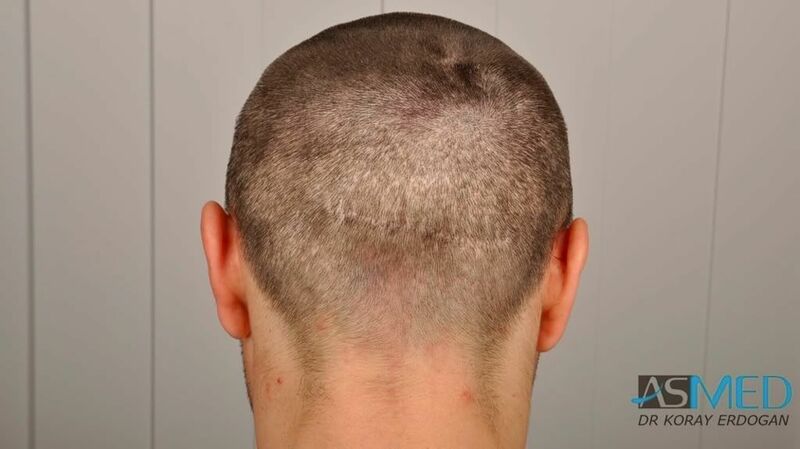 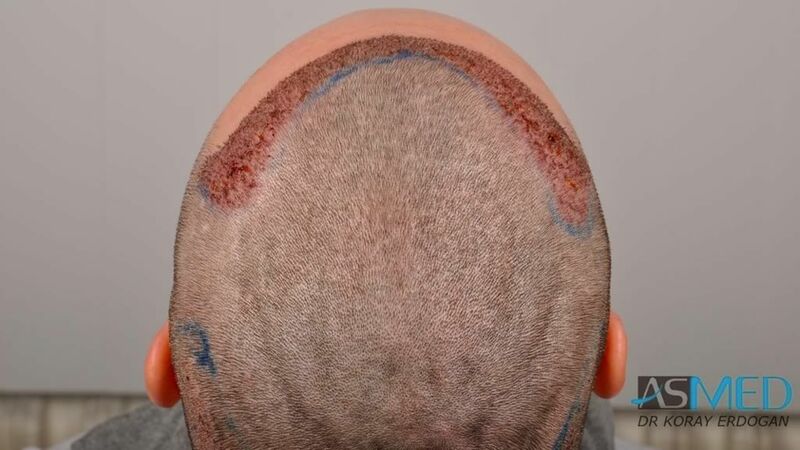 300 grafts were placed over the FUT scar. 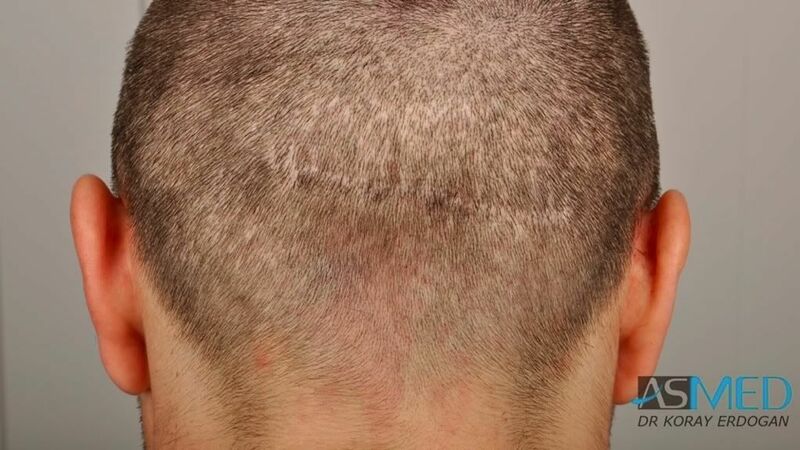 The patient previously underwent two surgeries, one FUT (in 2000) and one FUE (in 2006). 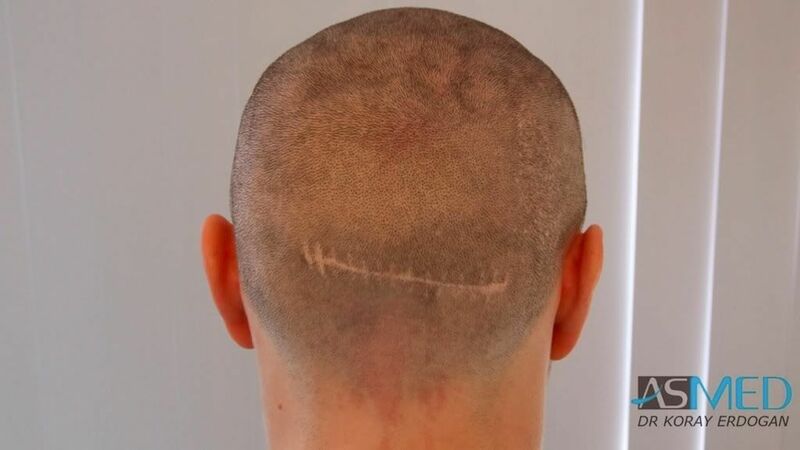 Unluckily, we don’t know how many grafts were extracted and implanted during these two previous surgeries. 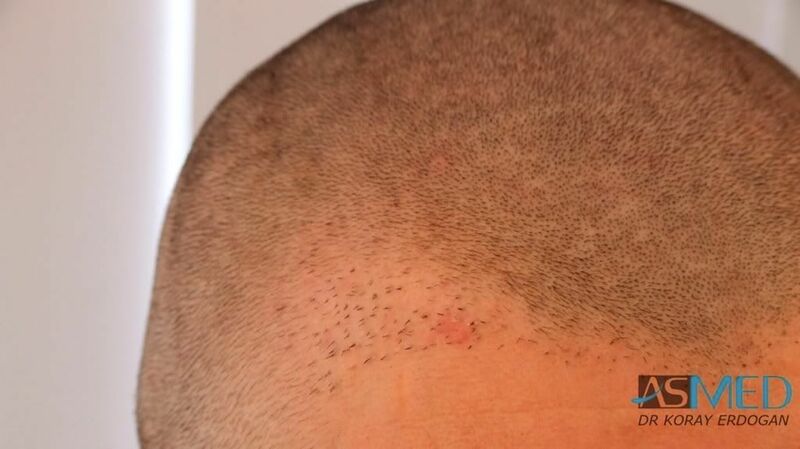 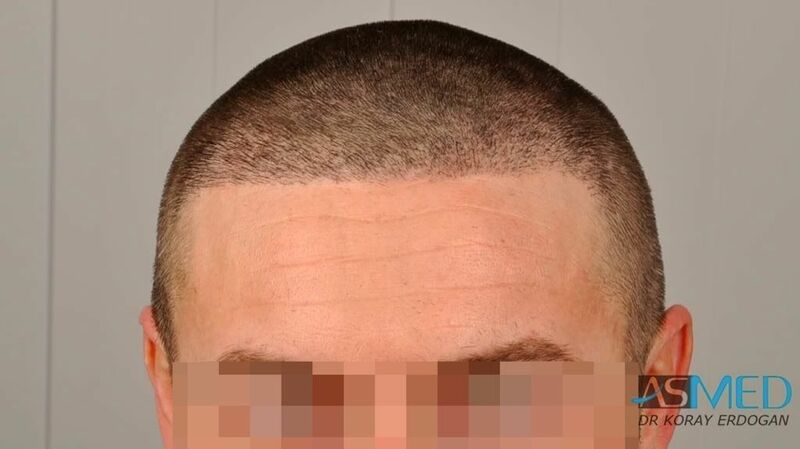 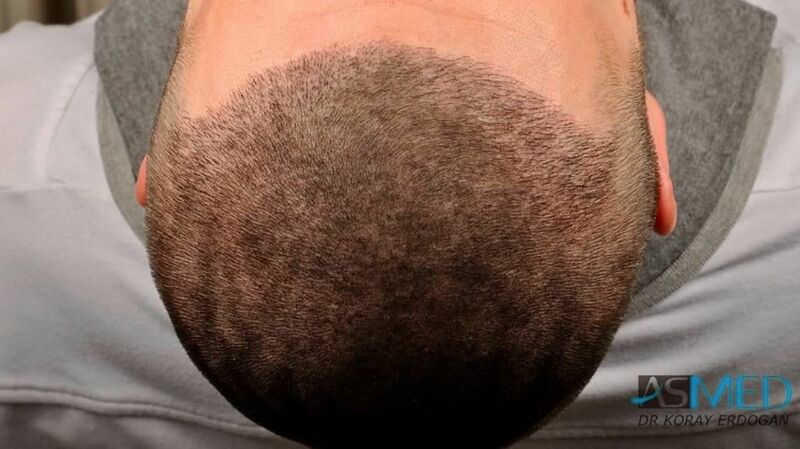 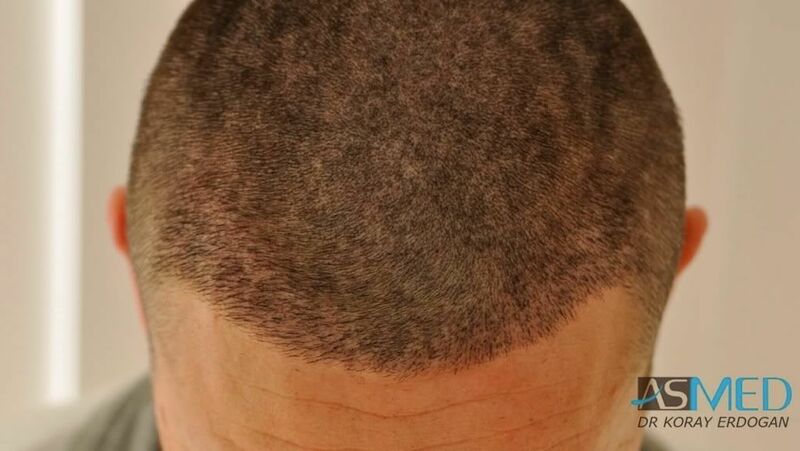 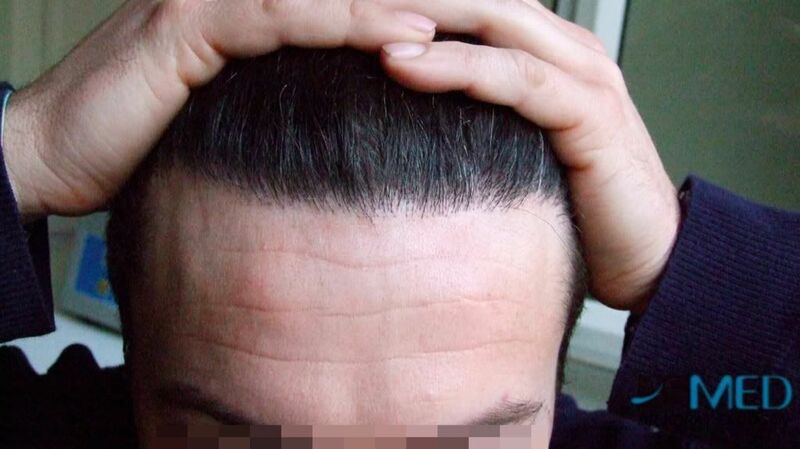 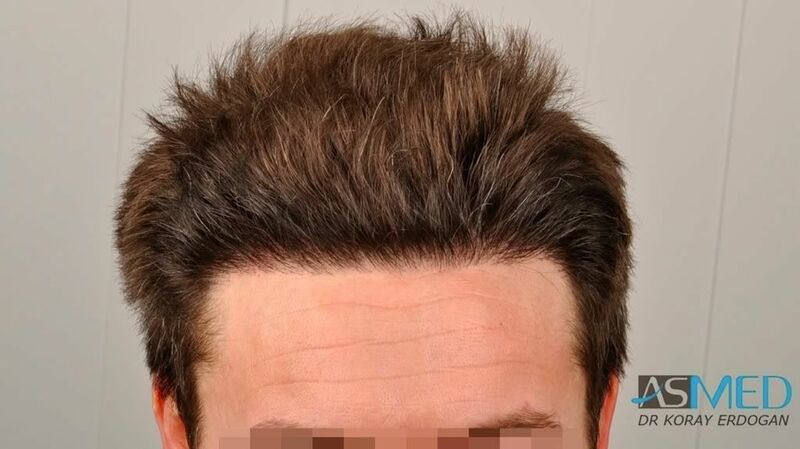 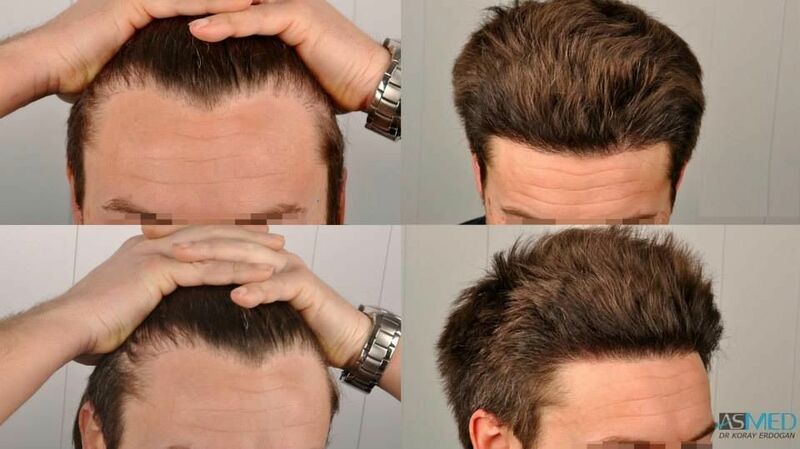 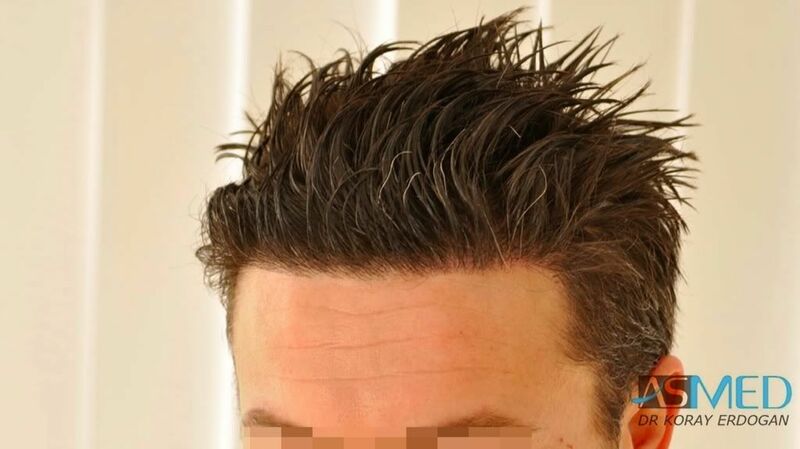 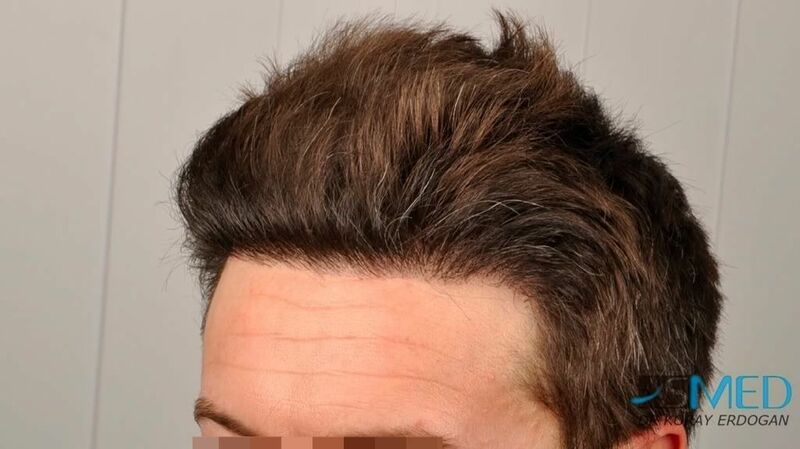 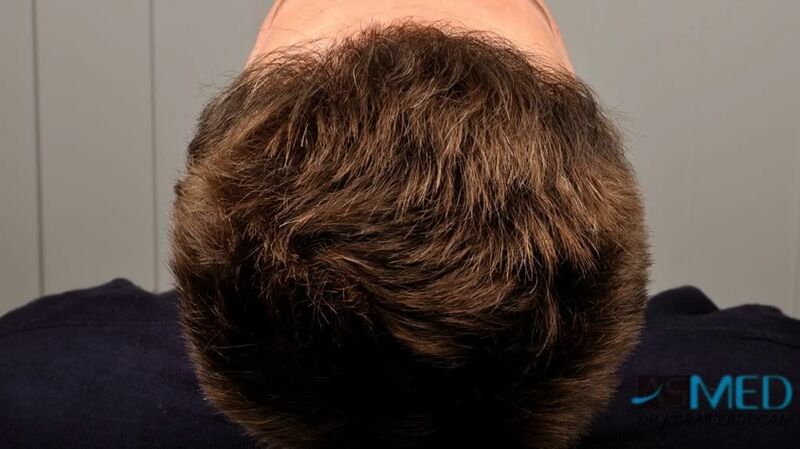 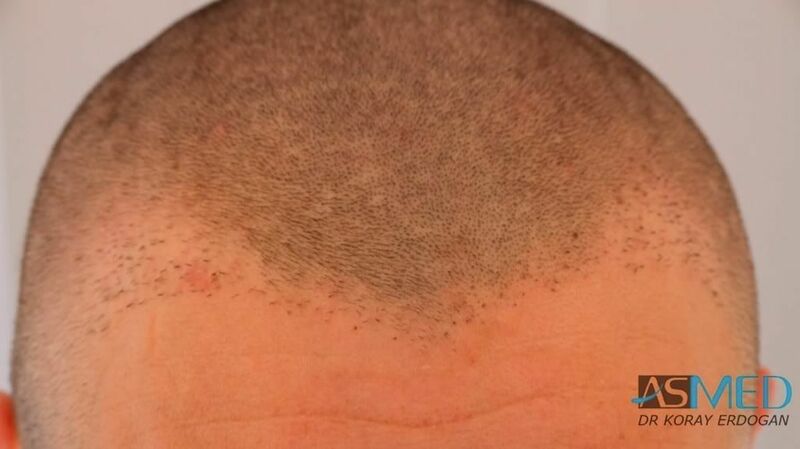 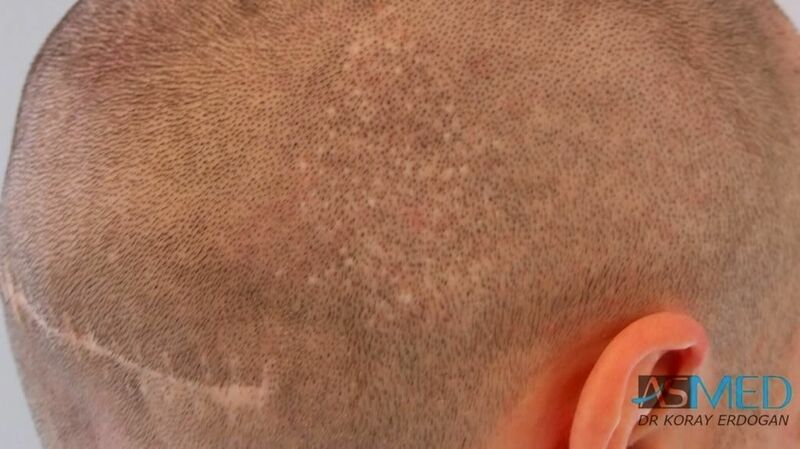 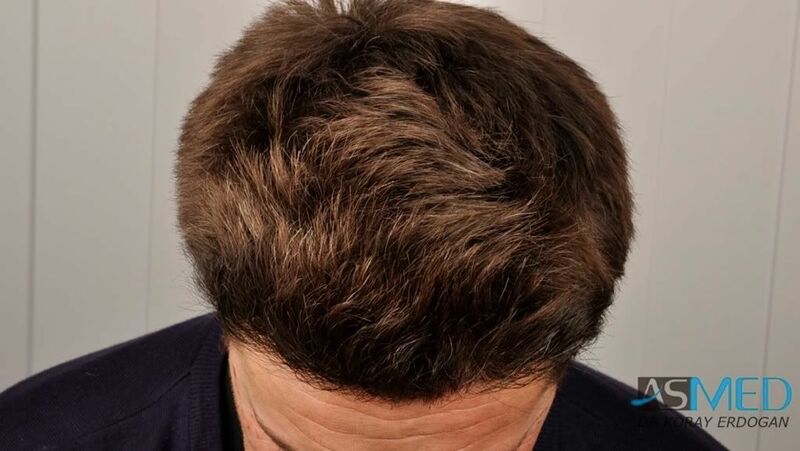 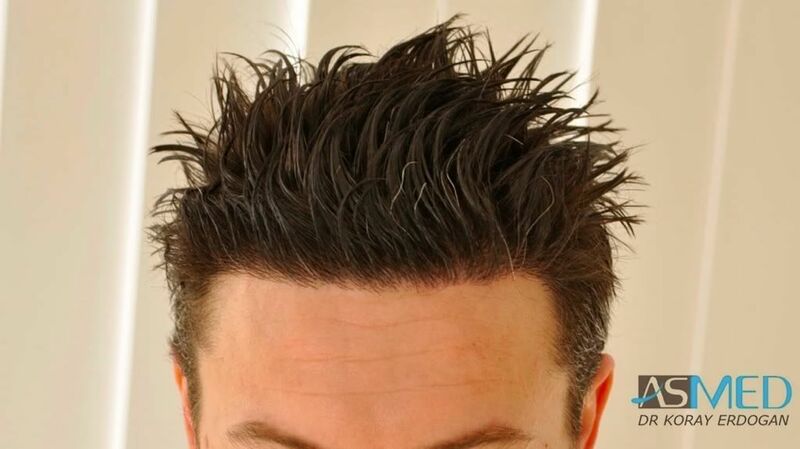 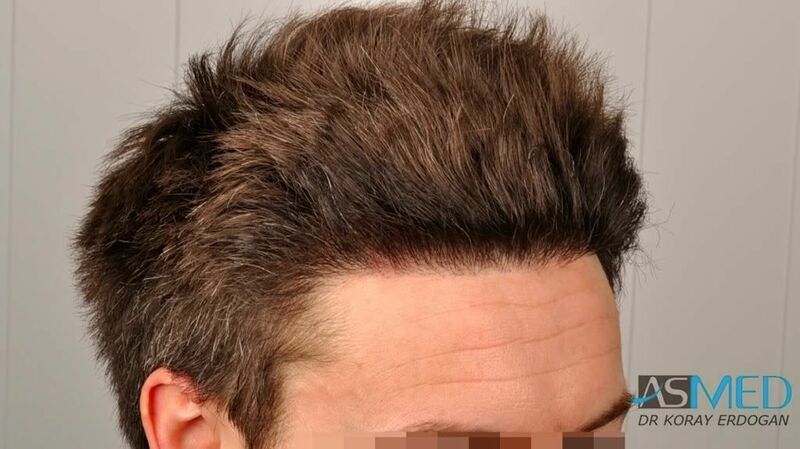 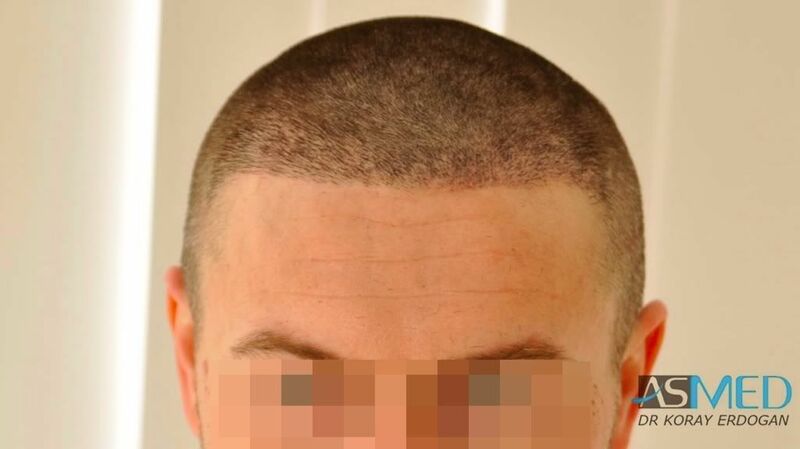 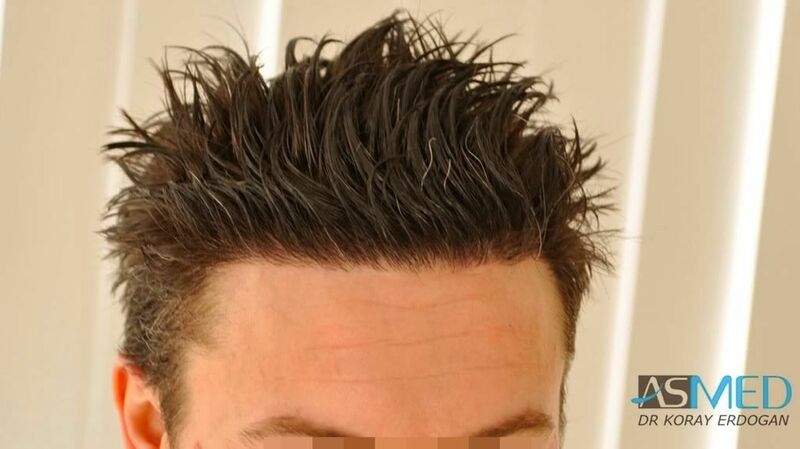 - OPERATION DETAILS: 2240 grafts FUE extracted with manual punch, diameter 0.6 - 0.8 mm.